My first Salad Niçoise experience was in the teeny, tiny cafe in the garden of the Rodin Museum in Paris, France. The perfect setting to try the most famous French salad, right? I can remember like it was yesterday. I was wearing my absolute favorite black eyelet sundress and a sparkly headband (because sparkly headbands were my jam back in the day). We were heading out to the Rodin Museum because my mom had read amazing things about it in a travel book and said that we had to go. And when you looked at it from the outside, it looked… tired. 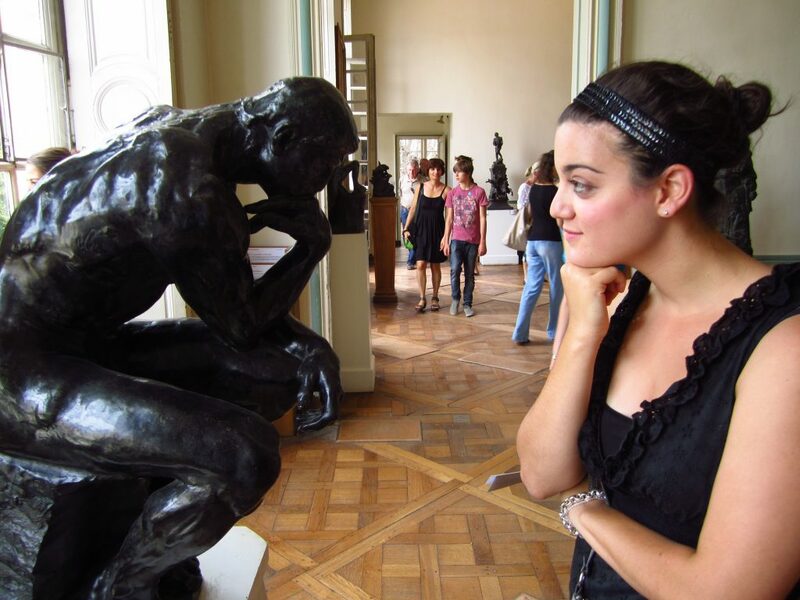 We then learned that the museum was actually housed in the old BROTHEL that Rodin used to live in. After learning about that, we were a bit skeptical about what we were going to find. While the surroundings were sparse, the sculptures were INCREDIBLE and the little courtyard garden was charming. And the cafe in that little courtyard garden was divine. It had tiny tables and a basic menu. My dad, sister, and I got chicken Caesar salads (big mistake), but my mom got a beautiful salad niçoise. She won the best lunch award that day. 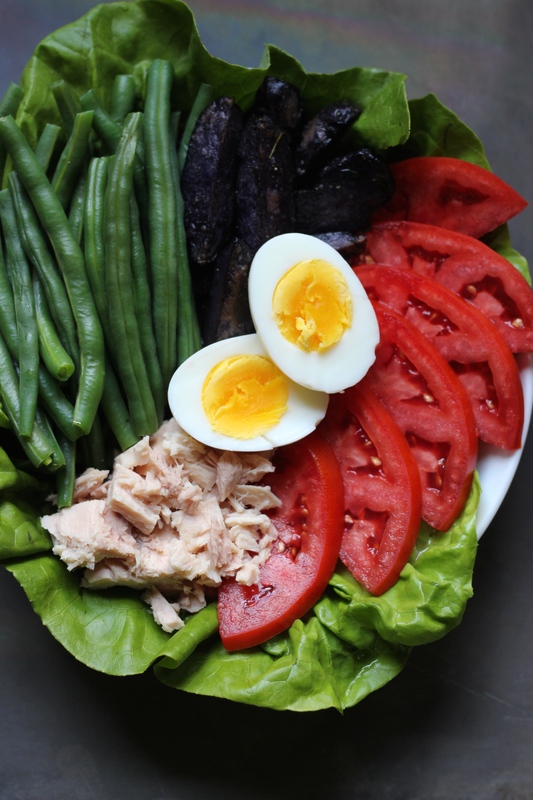 Thin French green beans were topped with chunks of tuna, potato, and egg. It was beautiful and simple and I loved it. And every time I make this salad, I think about that trip (and that sparkly headband!). It could not be easier to make. I got some Boston (or butter) lettuce leaves and used them as anchors on the plate. 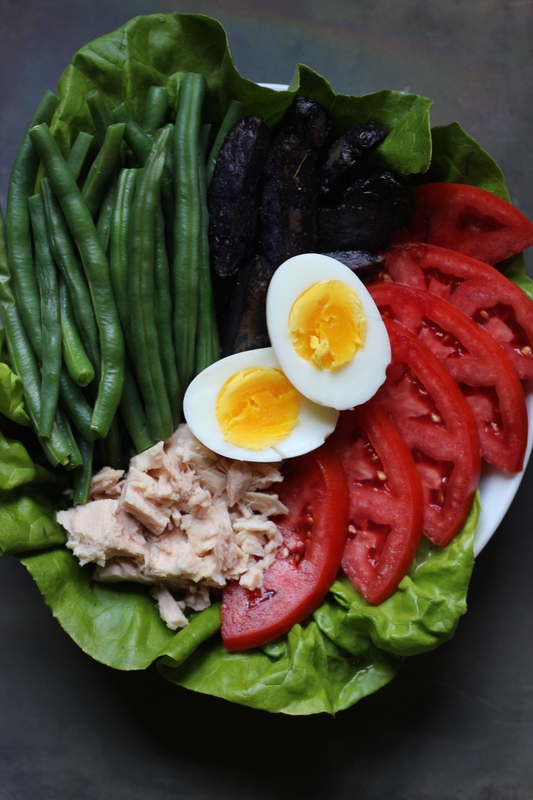 Then I piled it high with lightly steamed green beans (3 minutes in the microwave), roasted purple potatoes (leftover from last night), fresh heirloom tomato slices, and chunks of beautiful tuna. And then you need some hardboiled eggs! 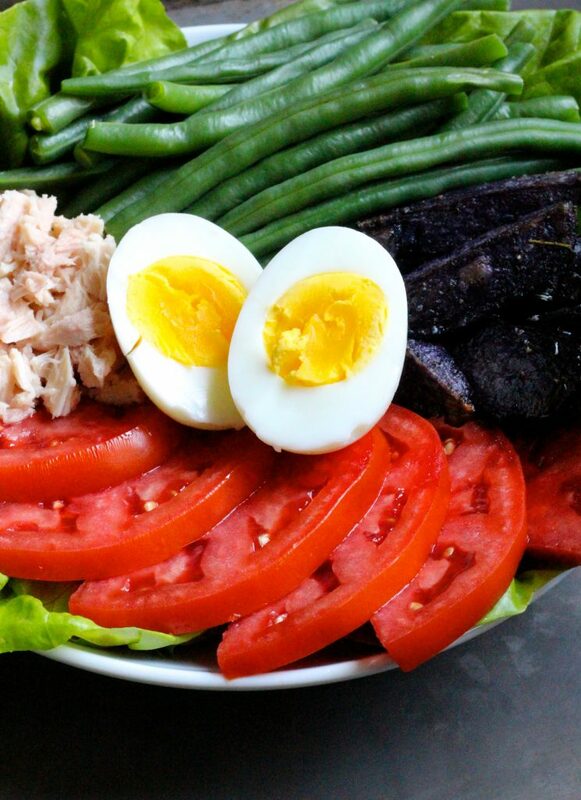 Because salad niçoise is nothing without hardboiled eggs. While this salad works well with a vinaigrette, I sometimes eat it as is… but you have to do whatever makes you happy! A perfect reminder of that perfect afternoon in sunny Paris with my crew! Simply A (RD) Fact: Green beans are a great source of vitamin C and fiber! Lay butter lettuce on a plate. Layer green beans, roasted potatoes, tomato slices, and tuna onto the lettuce, creating one section for each ingredient. Place the egg in the center of all the ingredients. Drizzle vinaigrette over the salad. Dig in! Club where we learned how to make it along with quiche. A standard in my repertoire ever since.